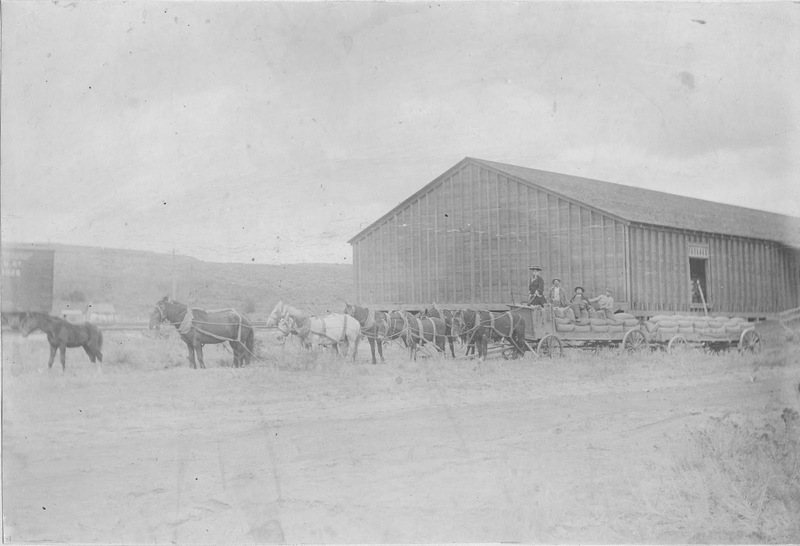 The Hoyt-Delany grain warehouse at Lamona was typical of every other grain building in the Big Bend in that it was designed to be able to store 50 lb sacks of wheat from the farm. The farmer making the delivery in the foreground was like most every other farmer, manually sacking grain on his farm for delivery to the warehouse. Sacks were then loaded on boxcars for shipment. Bulk shipment of grain didn’t become common until the 1970s. "Bulk shipment of grain didn’t become common until the 1970s"
In the 1960s, I saw train after train of ordinary 40' boxcars bulk loaded with grain with the help of temporary grain doors - boards nailed across the inside of the door openings, with a gap at the top through which the grain was loaded. My understanding was that such loadings had been common for quite some time. If I recall correctly, the 1970s saw grain shipment by covered hopper, and unit trains, become common due to increased efficiency - not as an introduction of bulk shipment. Am I wrong in my perception of 'common,' my understanding of 'bulk shipment,' or what?